In California, it is illegal for an employer to wrongfully terminate an employee or wrongfully discriminate against an employee. If such happens, the employee can hire a wrongful termination lawyer and sue the employer. Our law firm has filed lawsuits against employers for wrongful acts, and we would like to hear from you if you have encountered injustice at your place of work. Life is full of unexpected surprises and accidents are bound to happen every once in a while. Most accidents may be nothing more than a mild annoyance for only a couple of minutes, but there are accidents which occur that may have a devastating impact on your life. You may be left disabled which may force you to miss work. Missing work and the security of their job is one of the primary concerns of those people who become disabled, whether it was short- or long-term. 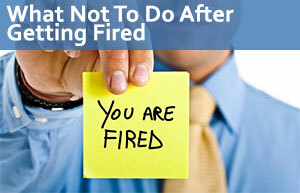 It does not, however, prevent your employer from terminating you from your position. There are, however, some federal and state laws which offer you protection from being dismissed by your employer. If your employer violates any of the laws which are meant to give you job protection while you are on short- or long-term disability leave, you may have grounds to hire a wrongful termination lawyer to sue your employer for wrongful termination which may give you your job back or a good severance package if reinstatement is not the best course of action or possible. Reinstatement is often avoided if there is hostility between the employer and employee and so to reduce the chances of any future quarrel, the courts may avoid reinstatement. Can an employer terminate an employee on long term disability? Can I be fired after short term disability? Can an employee be terminated while on medical leave? Can I be fired for FMLA leave? What Is Short-Term and Long-Term Disability? When you get severely injured, the resulting damage on your body may render you unable to work. You may be “disabled.” In the dictionary of the law, being disabled means that you are a person who has a physical or mental impairment that substantially limits one or more major life activity, such as going to work and fulfilling your employee duties. If you are unable to work, you are unable to get paid. This is where short-term and long-term disability insurance policies kick in which are made to offer income protection to those people who are unable to work because of their medical injury. What may surprise you is that while these policies offer financial insurance during your time off, these policies rarely offer any sort of job protection. Which means that your employer can terminate you if your injury becomes a burden for the employer. For example, if you are an important employee and your absence is causing the company financial issues, the employer may be within their right to terminate your employment. But there are exceptions to this, and there are certain situations in which an employer cannot terminate you – written laws created to protect employees from getting terminated solely for being injured and incapacitated. If you were fired under these exceptions and against these federal or state legal protections, you might have the grounds to file a lawsuit for wrongful termination. You can read below for more information, and if you believe you have a case, please contact our Los Angeles attorneys. Our law firm is in Los Angeles but we take all cases from anywhere in California. Is There Job Protection Under the Family & Medical Leave Act? There is a federal law called the Family & Medical Leave Act (FMLA) which entitles employees to take up to 12 weeks of unpaid leave every year to deal with a medical issue or to take care of an immediate family member who has fallen ill. The FMLA is a federal law, and so not every workplace is subject to the policies of the FMLA. For the employer to qualify for the FMLA policies which protect employees, the company must have at least 50 employees located within 75 miles of the workplace. The employee must have worked for the employer for at least one calendar year, and have worked for at least 1,250 hours within that year. The time worked does not have to be consecutive. FMLA guarantees unpaid leave, but you, the employee, may be able to receive short- or long-term disability while you are on FMLA leave. Many employers require that you use your FMLA time while you are on disability – for many employees, their FMLA leave is the most important form of job protection that they have. While you are on FMLA leave, your employer cannot terminate you from your position as long as your injury does not go over the allotted 12 weeks per year. Once you return from your leave, your employer must give you back your previous job or one that is substantially identical. If you exceed the 12 weeks you are allowed to take, you run the risk of being terminated. It is important to remember that FMLA is a federal policy and so each state may have a different set of laws. The California Family Rights Act (CFRA) is very similar to the FMLA in that it gives employees the right to take up to 12 weeks of leave within one calendar year to take care of a child. Additionally, it gives employees the legal right to take the same allotted time to take care of themselves or immediate family members if they become sick. Under the CFRA, if the employer requires you to use vacation time, then they must pay you for the time you take off. Like the FMLA, your employer must reinstate you to your previous position or one that is nearly identical to that position with the same pay and benefits you had before you took your leave. If you are terminated while you are on the CFRA leave, your employer may have violated the law. Most employees in the U.S. are “at-will,” which gives employers to terminate their employees with or without reason without any legal repercussion. The reason for dismissal, however, must not coincide with any laws that are meant to protect employees. The Americans with Disabilities Act (ADA) does not allow for your employer to legally fire you due to disability. The ADA’s definition of “disability” includes most individuals on disability leave and some who have returned to work. Employers who are covered by the ADA include those with 15 or more employees. These employers must make reasonable accommodations to consult the disability as long as it does not cause them “undue hardship. As the employee, however, the burden is on you to inform your employer that accommodations will be required for your continued employment. Reasonable accommodation can mean a lot of things from restructuring a person’s job or schedule to even granting additional unpaid leave. Knowing when the FMLA and the ADA apply to your specific situation can be a rather confusing ordeal. It can be confusing because you can be on FMLA, which protects your job while you are on unpaid leave but you are also receiving disability benefits. This means that your employer cannot argue that because you are collecting disability benefits, you can’t perform the essential functions of your job. This is because the definition of ADA may be different from insurance companies’ definition and so it does not mean that the essential duties of the job are not protected by the ADA. The employee is able to do the essential functions of the job with reasonable accommodation, but that employer hasn’t provided the necessary accommodations. They are receiving FMLA leave benefits. What Happens to Your Health Insurance If You Are Fired? There is a federal law known as the Consolidated Omnibus Budget Reconciliation Act (COBRA), which gives employees the right to continue to receive group health insurance coverage for a period after their termination or otherwise become ineligible to receive benefits. For example, if an employee’s hours were cut under the minimum threshold, they are eligible for COBRA. What If Your Employer Violated the Law? If you believe that your employer terminated your employment and violated the laws that were made to protect you in case of short- and long-term disability, you may have the grounds to file a wrongful termination lawsuit against your employer. Our Los Angeles employment lawyers offer free consultation and a zero-fee guarantee. Free consultation means that you can talk to one of your lawyers and explain your case without any obligation. The attorneys will give you initial thoughts on whether your case is strong, and then you have the freedom to hire our services or not. The zero-fee guarantee is our promise to you saying that you will not pay for our services unless we win the case. – Can I Be Fired While on Disability? – Can I be fired for being blind? – Can I Be Fired for Having an Eating Disorder? – Can Employer Fire You for Having Herpes?